The first update to vSphere 5.0 was released by VMware yesterday and although a minor release its worth mentioning some fixes and enhancements that it brings. vSphere Web Client fails to start after Web Client installation is complete In vCenter Server, vSphere Web Client might fail to start after Web Client installation is complete. This issue is resolved in this release. Upgrade to vCenter Server 5.0 fails with the error After you upgrade a vCenter Server 4.1 instance to vCenter Server 5.0, vCenter Server does not start, and produces a win32 exception error and backtrace. When this issue occurs, the following error message is written to vpxd logs. Found both stateful stateless event expressions in the same alarm This issue is resolved in this release. vCenter Server 5.0 U1 is shipped with Microsoft SQL Server 2008 R2 SP1 Express database When upgrading Virtual Center 5.0 GA (installed with Microsoft SQL Server 2008 R2 Express database) to Virtual Center 5.0 U1 , Microsoft SQL Server 2008 R2 Express database is upgraded to Microsoft SQL Server 2008 R2 SP1 express database. 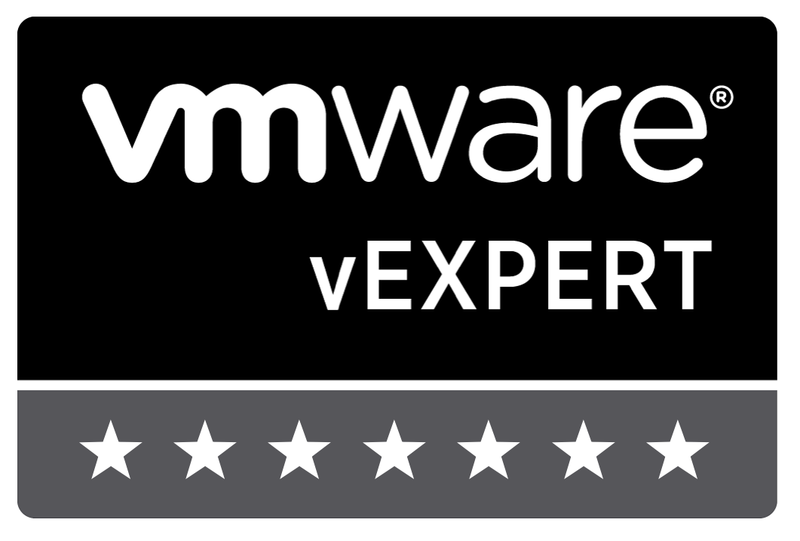 Note: A restart is required when a Virtual Center 5.0 is upgraded to Virtual Center 5.0 U1. This issue is resolved in this release. Failed to initialize migration at source. Error 0xbad00a4. VMotion failed to start due to lack of cpu or memory resources. vMotion task failed - This host has reached its concurrent migration limit. For more information and to download the update goto.. The VMware Workstation Team is providing public access to the VMware Workstation Technology Preview 2012 to gather real-world feedback from its users. This VMware Workstation Technology Preview does not contain major new features, but it does include significant changes to its core virtualization technology especially in the following areas. While this release is focused on VMware Virtualization platform enhancements it does include a few user interface enhancements. Installing Windows Server “8” Beta on VMware Workstation 8, It works, well sort of !!! I had time this morning (while waiting for a problem to be fixed) to test the Beta Build of Windows Server “8” that dropped yesterday, initially I was having issues installing VMtools on a custom “Windows 2008 R2 x64” VM set at hardware compatability 8 and initially gave it from 2-4gb of memory, VMtools had issues installing TP drivers, VMCI and also SVGA drivers did not install, they actually caused a complete black screen which was similar to the Windows 8 Customer Preview MSFT released last year which SVGA issues were related to memory allocation issues. I destoyed the VM and recreated a custom “Windows 2008 R2 x64” version 7 VM with 1gb Ram and installed the Windows image with no issues, VMtools presented no problems either, so I then shutdown the VM and reset the memory to 2gb and powered back up, there were no issues, all is working fine. Next is to try and see if the same is true for ESXi 5.0, I especially want to see if I can get Hyper-V working the same as I did for Windows 2008 R2. Author virtuallylgPosted on March 2, 2012 March 2, 2012 Categories Microsoft, VMwareTags Server "8", VMtools, Vmware, WindowsLeave a comment on Installing Windows Server “8” Beta on VMware Workstation 8, It works, well sort of !!! 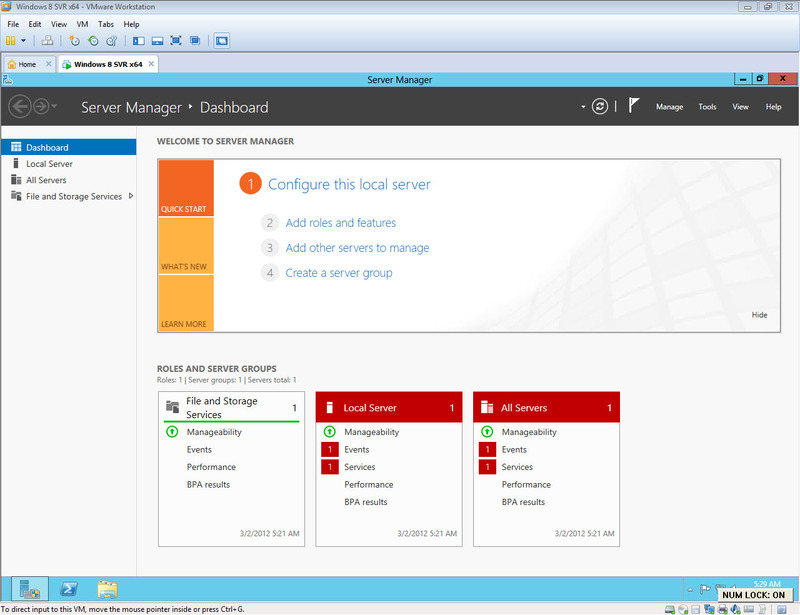 Windows Server “8” beta available now! Author virtuallylgPosted on March 1, 2012 March 1, 2012 Categories MicrosoftTags MicrosoftLeave a comment on Windows Server “8” beta available now! its my pleasure to release my latest demo of Virtual Business Service with ApplicationHA 6.0, learn how Virtual Business Service can assist with connecting multiple tiered applications together to create a business service, this demo will create a service from a VMware virtual machine running SQL Server 2008 and a custom application and demostrate how easy it is to start and stop the applications and control the applications when disaster strikes.